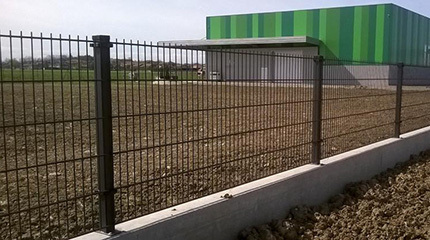 Orsogril Recintha 202 modular fence material has the linearity of the mesh that gives this fence a stylish look, while double horizontal wires makes it robust and secure; the system reaches its best when installed with Omega post. 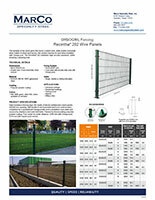 The Recintha® 202 fence panels maintain high security standards, whilst ensuring a pleasing look. 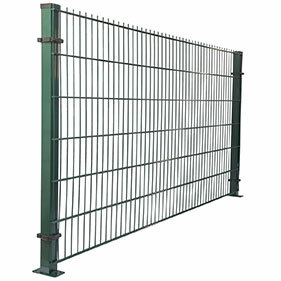 High-resistance fencing type 202 made of electro-welded wire mesh panels, 50 x 200 mm opening, with double 8 mm horizontal and 6 mm vertical wires, completed by a symmetrical Omega profile post a pre-drilled cover plate and secured by stainless steel anti-theft bolts. Painted by thermosetting polyester powder coating. Post center-to-center distance: 2540 mm with Omega post, 2510 mm with square post section. Discover why so many architectural firms across Texas, the Gulf Coast and throughout the US have made Marco Specialty Steel their one-stop source for Recintha® 202 Wire Fence Panels and all their metal/steel needs. Contact us to learn more about our complete menu of fencing products and get a no-obligation project quote today.